With its 175th anniversary celebrations now consigned to history, P&O can start to look to the future and a new ship which will be joining the fleet in March 2015. Carrying 3,600 passengers and more, the 141,000-ton vessel will share the same basic hull design as the two Princess ships also on order from Italian builders Fincantieri. 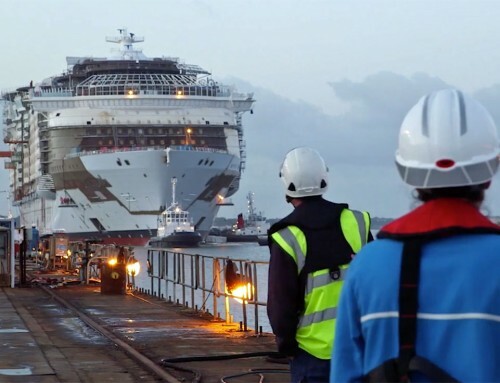 The first real clues to what the newcomer is going to look like will be gleaned when Royal Princess makes its debut in Southampton in June next year. 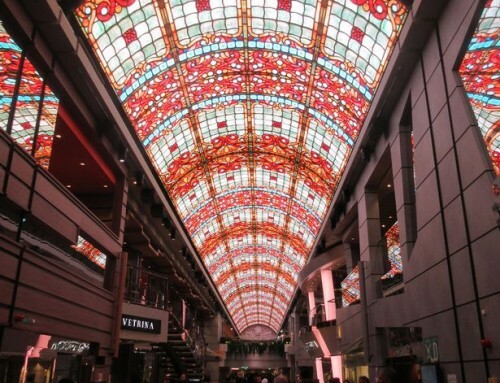 Computer-generated simulations have already shown a vast atrium at the centre of the ship – which the P&O ship is likely to share – and an innovative Sea Walk and Sea View Bar cantilevered over the side of the vessel, which probably will not be on the British vessel. The videos below give some impression of what to expect. So what will P&O be introducing? David Dingle, chief executive of parent company Carnival UK, gave a few hints this week in an interview with trade magazine Travel Weekly. Azura and Ventura have open-air cinema screens above their swimming pools; Oriana has the Chaplin’s Cinema, so that’s one box ticked. If Mr Dingle is looking for the best of existing ships then the wine bar must be modelled on Azura’s Glass House, masterminded by TV wine expert Olly Smith. He personally chose the selection of bottles available, and the bar serves a menu of light snacks and full meals on an a la carte basis. It’s a much more welcoming venue than Ramblas, which occupies the same space on twin sister Ventura; is it too late to hope that changes will be made dueing the dry-dock due later this year? Having forged partnerships with Marco Pierre White and Atul Kochhar – surely room will be found on the new-build for their restaurants – perhaps P&O will turn to pub giant Wetherspoon’s for that giant bar. Or will it be more like Oriana’s Lord’s Tavern than the Rising Sun on Arcadia or The Exchange on Ventura? 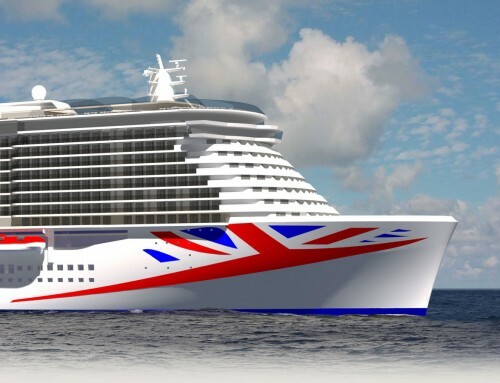 ►What are your favourite features on P&O ships, and which would you like to see on the new-build? Add your comments below.